After over a decade as one of Australia’s leading skin and wellbeing practitioners, Amy Erbacher noticed a common theme among her clients. Those who devoted time to both physical self-care and nurturing of their inner-self were truly glowing from within. 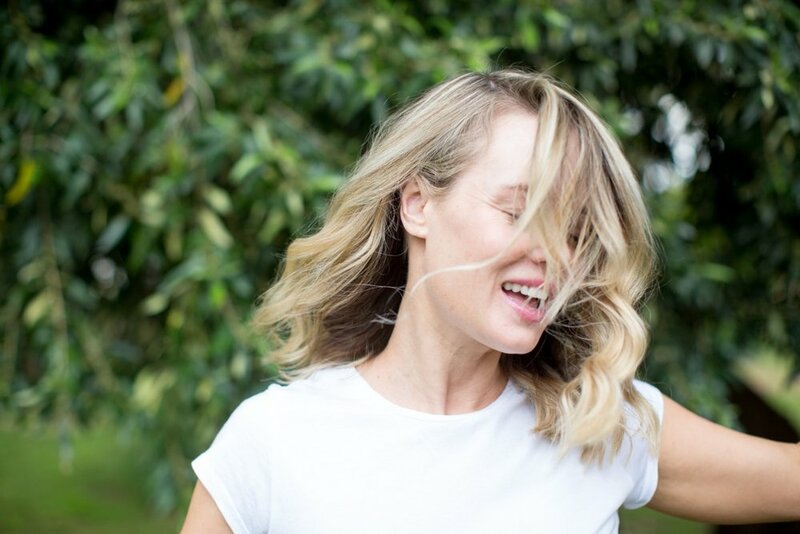 While caring for the beauty and wellbeing of women of all walks of life, and celebrities like Miranda Kerr, Nicole Kidman and Delta Goodrem, Amy developed an astute sense for how to enhance and nurture every woman’s beauty, self-belief and self-confidence. Her philosophy centres around feeling beautiful holistically - through self-care and self-love. Based in country New South Wales with her partner Mark and daughter Rose Grace, Amy now uses her extensive beauty, wellbeing and life coaching qualifications and expertise to help women live a life where self-belief and self-acceptance go hand-in-hand with a self-care and beauty regime. As a respected skin practitioner (who founded and grew three successful Sydney skin and wellness boutiques), the founder and creator of two luxury skincare and lifestyle collections, a passionate natural fragrance consultant and qualified life coach, Amy is determined to help women make a positive, lasting change in their lives. Launched in 2018, the Amy Erbacher Black Label Collection features a range of carefully curated luxury beauty and lifestyle products formulated with all natural and organic ingredients that nourish both body and soul. Inspired by her beloved mother and daughter, Amy released the Rose Grace Collection in 2018. All decadent skincare products in the range feature hydrating and soothing pure rose absolute and essential oils. View the Amy Erbacher Rose Grace Collection here. As a beauty therapist and facialist who’s treated some of the world’s biggest celebrities, Amy is an authority on caring for, and maintaining, glowing skin. She continues this passion through performing limited treatments in a studio in Orange, NSW. Amy is also a specialist in creating beautiful bridal makeup. After performing facials and massages, Amy would gift her clients the remaining aromatherapy blends she’d created for their treatments. These women always returned reinvigorated, requesting that Amy create more of these incredible healing scents for them. A passion for aromachology, the impact scents can have on our emotional state, was ignited. 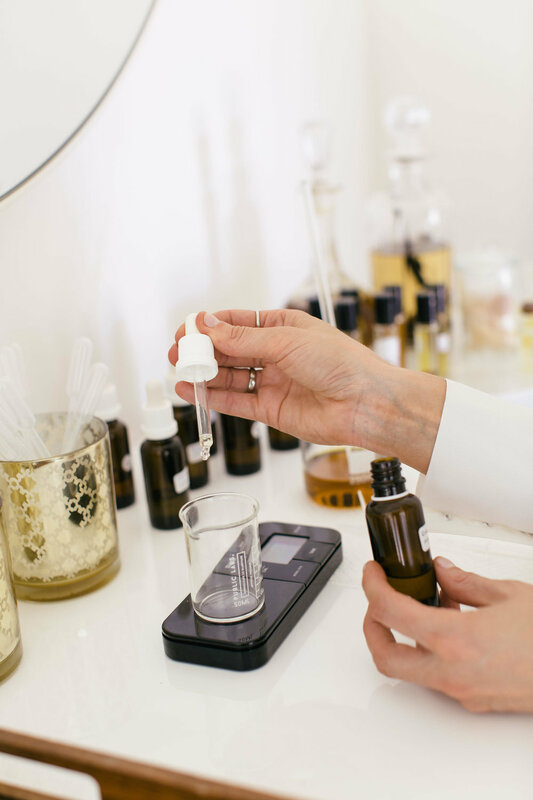 Now Amy uses her experience as a qualified clinical aromatherapist and organic formulations specialist to create bespoke solid and natural fragrance spray blends tailored to a client’s unique needs. As a natural fragrance consultant, she also develops one-of-a-kind scents for brides who want to stand out on their wedding day. As a qualified life coach, Amy’s mission is to empower women with the tools to nurture an intimate, loving relationship with themselves. Low self-esteem, self-sabotage and a lack of self-care has a ripple effect, seeping negativity into all areas of your life. Through life coaching, retreats and workshops, Amy equips women with the knowledge and rituals to actively make changes, be mindful about their lifestyle and break through the negative self-belief patterns holding them back. Amy complements her life coaching by incorporating the wellbeing boosting effects of fragrance, skincare and self-care. "Amy asks the "hard" questions of life and helps you along gently and tactfully until you get to your answers. Questions like what do I really want, what are my values and boundaries, how to grow and move forward from the trauma, drama and fog... I was so lucky to have found Amy's coaching at a point in my life where I could no longer afford to keep "existing" without facing these questions. With Amy's guidance and support, I found clarity, boundary, and revitalised my relationship with myself." Yuki B. With over fifteen years of television presenting, speaking as an expert on beauty panels for brands like Olay and Veet and providing commentary for publications like Vogue, Harper’s Bazaar and InStyle, I am available to speak on my topics of expertise (beauty, self-care, life coaching, skincare and fragrance creation) or host events in line with my philosophy.